Vietnam might have some of the best riding roads in the world. Over the years I’ve been running this website, dozens of motorbiking enthusiasts (who have ridden extensively in countries across the globe) have written to say that, with the possible exceptions of northern India, Nepal, and parts of Andean South America, Vietnam has offered some of the greatest riding roads in the world. For my part, I’ve been lucky enough to travel to over 40 countries, and still the roads in Vietnam continue to amaze me. Although I don’t claim to have ridden all the roads in Vietnam, and this list is, of course, entirely subjective, I have spent the best part of the last decade riding almost 200,000km around the country: taking in every province and always looking for great scenery, new roads, interesting places, good food, and engaging people. 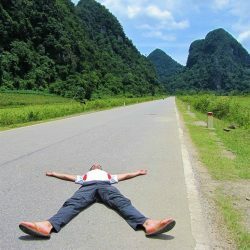 Based on this experience, I have compiled a list of what I consider to be some of the greatest riding roads in Vietnam. *Please note: road conditions in Vietnam are in a constant state of flux: I can’t guarantee that these roads will be forever ‘great’. You can help by commenting at the bottom of this page about current road conditions or suggesting other great riding roads in Vietnam. Thank you. DESCRIPTION: In the deepest, darkest, remotest corner of northwest Vietnam, this meandering ribbon of asphalt is in excellent condition and sees hardly any traffic at all. 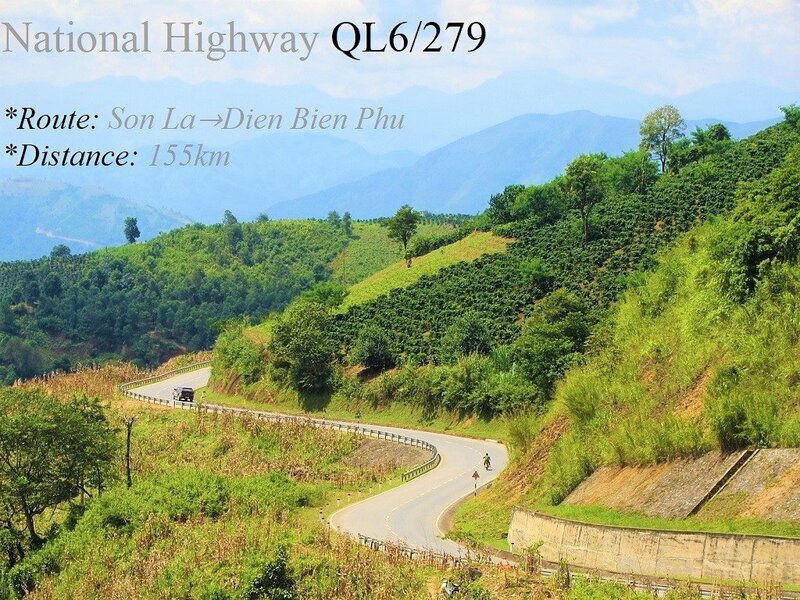 Gliding over mountain ranges and sweeping along river valleys, National Highway QL4H is easy, uninhibited riding through a big landscape close to the Lao border. However, there’s a reason why so few vehicles ply this road: the region is remote and politically sensitive. If you choose to ride QL4H, be aware that the police may turn you back at any time, but particularly if you try to go beyond Muong Nhe. DESCRIPTION: A spectacular coast road draped along the rugged and strikingly beautiful coastline of Ninh Thuan Province, the Nui Chua Coast Road (DT702) passes some of Vietnam’s best beaches and bluest seas. Only completed a few years ago, the road surface is smooth asphalt for most of its 60km distance. Despite a surge in popularity, traffic remains pretty light, allowing riders to enjoy the sweeping corners and cliff-edge switchbacks high above the ocean in relative safety. 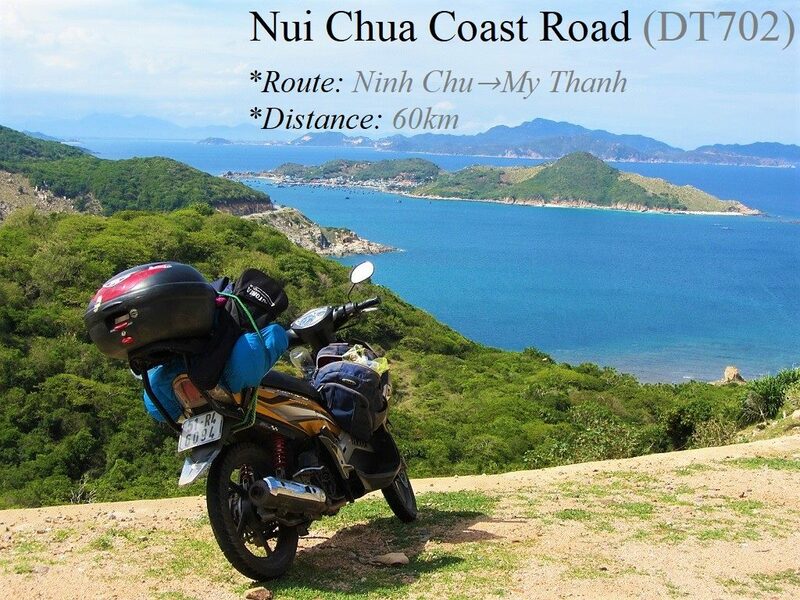 (This great riding road is described in detail in my Nui Chua Coast Road guide). 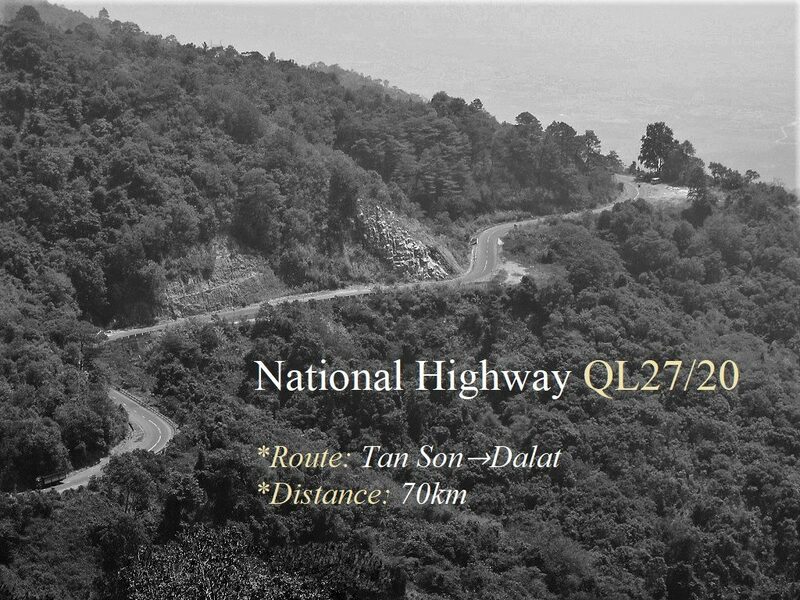 DESCRIPTION: A fabulous ride from the midlands to the highlands, National Highway QL32 is a swerving, snaking, wiggling, weaving route along the spine of Vietnam’s highest mountain range, the Hoang Lien Son. Recently upgraded, it’s currently in excellent condition. Beautifully smooth and undulating, riding this road lulls you into a hypnotic trance as you glide through the corners along river valleys and swerve through the switchbacks on mountain passes. The Khau Pha Pass is a highlight and so too is the absurdly pretty ride to Mu Cang Chai, famous for its steep valleys of terraced rice fields. DESCRIPTION: From the lush jungles near Cat Tien National Park to the heavily cultivated plateaus near Bao Loc and Di Linh, Provincial Road DT725 slices through the heart of the Central Highlands. Much of the route is newly surfaced and traffic is very light. The lowlands are characterized by dense forest, but, as the road climbs higher, the landscape is given over entirely to the area’s most precious crop: coffee. 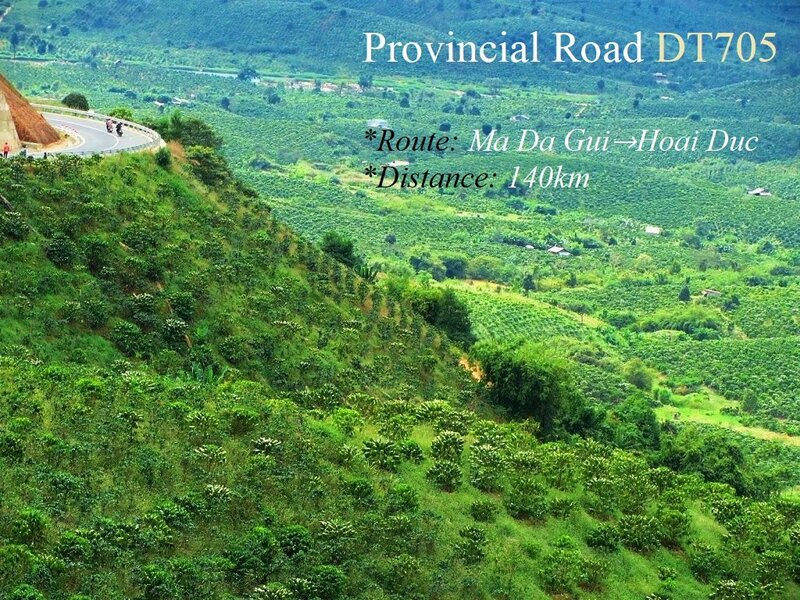 (This great riding road is part of my Back Ways to Dalat guide). DESCRIPTION: From the fishing village of Ca Na on the south-central coast, the Đường Ven Biển Ninh Thuận crawls around a spectacular rocky headland. 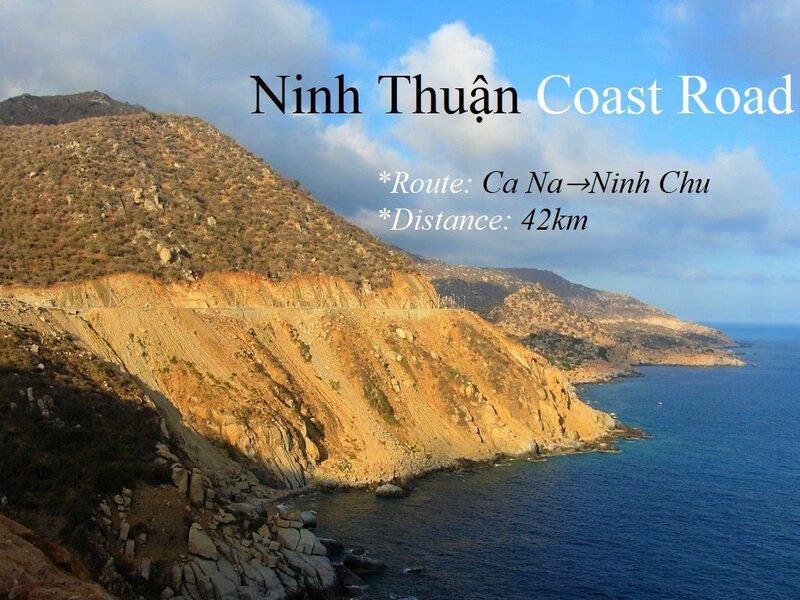 Literally translated as ‘Road along the Ninh Thuan Coastline’, this route was blasted out of the sheer cliff-face just a few years ago. The result is an unbelievable ride on a near-deserted road soaring high above the turquoise swell of the East Sea as it smashes against colossal boulders hundreds of feet below the tarmac. The scenery is fabulous: the rocky promontory has an arid, desert-like quality reminiscent of southern Spain. Unsurprisingly, boulders loosened during the construction of the road regularly roll off the mountainside and damage the road surface, but in general it’s a smooth ride. (This great riding road is described in detail in my Dragons’ Graveyard Coast Road guide). 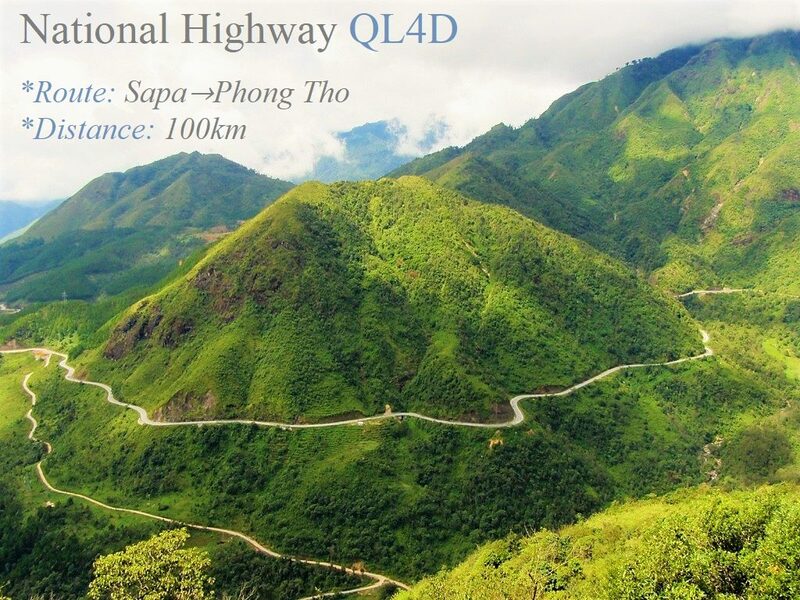 DESCRIPTION: Carving its way through the highest mountain range in Vietnam, National Highway QL4D used to be one of the most remote and unpredictable roads in the country. These days, however, thanks to a massive road building project, this route is a crisp new two-lane asphalt road riding high above plunging valleys and far below the jagged peak of Mount Fansipan (3,143m), the Roof of Indochina. The scenery is sublime: the bare slopes of the Hoang Lien Son Range (known to the French colonials as the ‘Tonkinese Alps’) fall into gaping valleys of terraced rice fields where ethnic minority villages perch next to cobalt-blue rivers. As the tarmac unfurls around the mountainsides – climbing to 1,900m at the Tram Ton Pass (the highest road in Vietnam) – there are countless switchbacks threading through the valleys all the way from Sapa to Phong Tho, creating 100km of great riding. Traffic is still quite light and road conditions are excellent, although landslides are common after heavy rains. 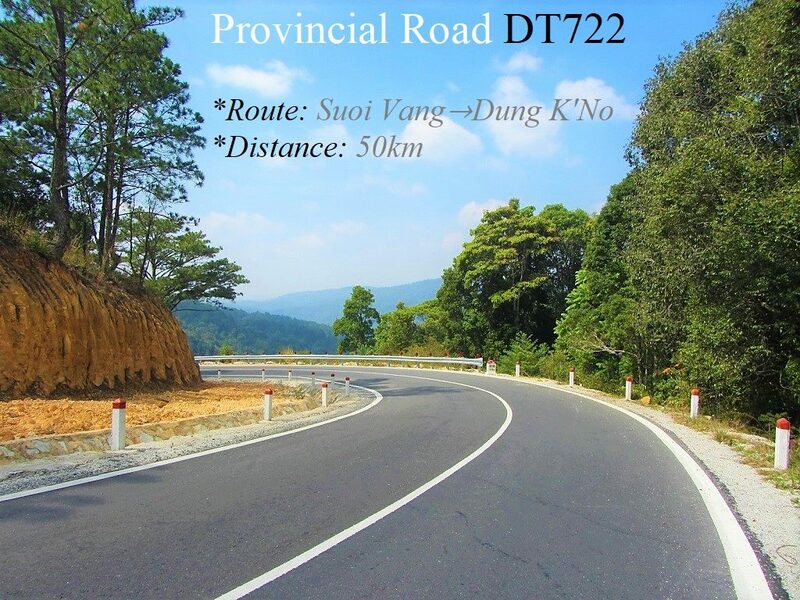 (This great riding road is part of my Sapa-Sin Ho Scenic Loop guide). DESCRIPTION: Ascending from the fiercely hot, arid foothills of the Truong Son Mountains, National Highway QL27 and QL20 climb sharply into the cool, pine-scented air of the Central Highlands. 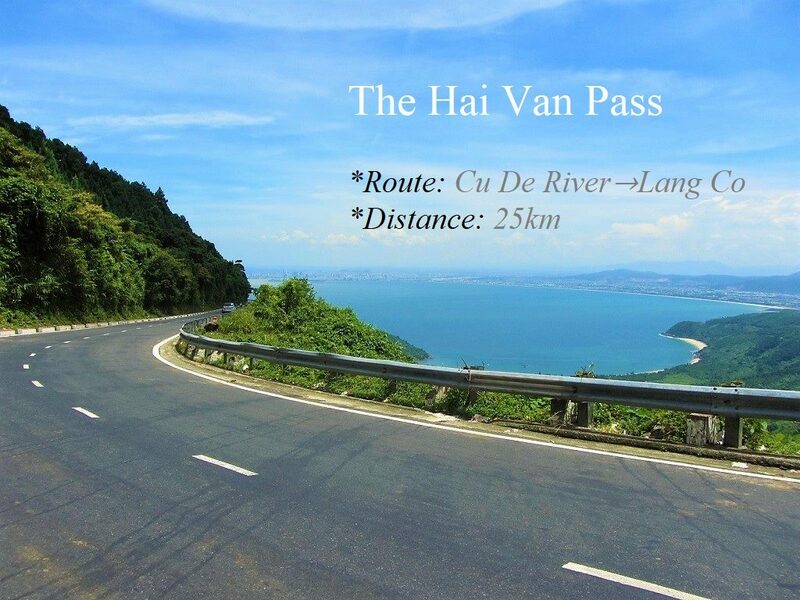 In French colonial days, this was the main route between the coast and the mountains, connecting Phan Rang with the hill station of Dalat. But the road fell into disrepair: initially from overuse, then from neglect as new roads opened better connections between the mountains and the sea. 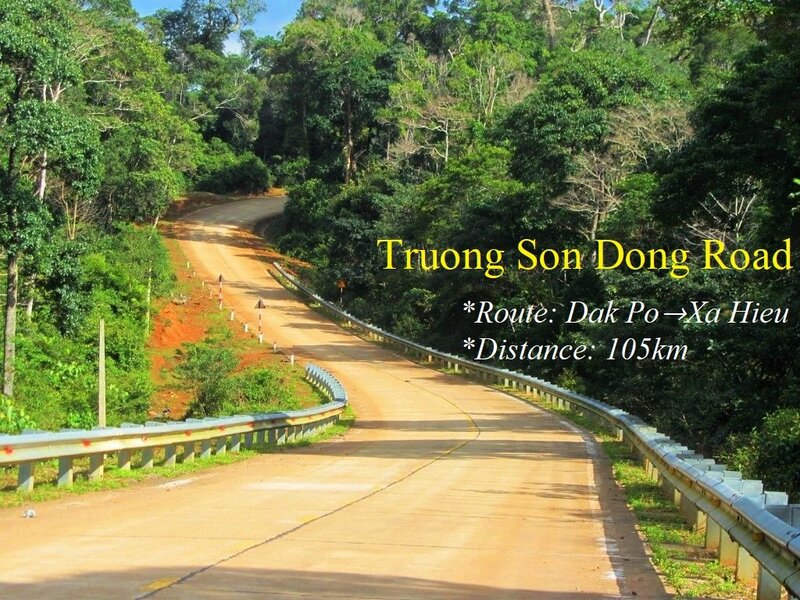 But recently, the entire 70km stretch from Tan Son, in the burning midlands, to Dalat, in the cold highlands, has been repaved and revitalized. Today, it’s a swift and glorious ride: climbing from near sea-level to 1,500m in a relatively short distance. The road meanders up steep mountain passes and skates over flat, agricultural plateaus. What’s more, traffic is much lighter than it was in the past, allowing you to enjoy the riding and the scenery like never before. (This great riding road is part of my Tet Classic Loop guide). 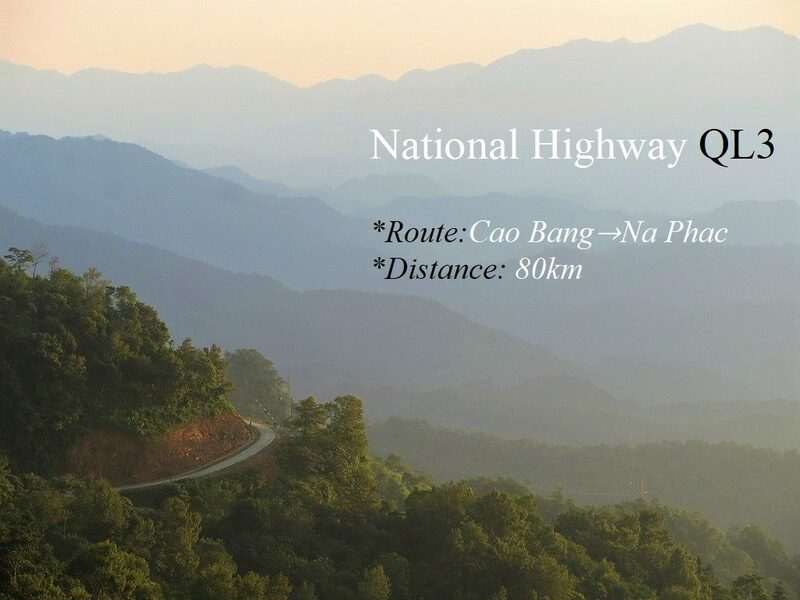 DESCRIPTION: Traditionally Vietnam’s road to the Wild West, National Highways QL6 and QL279 combine to form Asian Highway AH13, a long and twisting tangle of mountain passes and meandering valley roads, plugging straight into the far reaches of Vietnam’s remote northwest. Road conditions have improved markedly in recent years, and traffic is still fairly light. Long, empty stretches of smooth asphalt plough through a verdant and majestic landscape, culminating in the Pha Din Pass and the descent into the famous Muong Thanh Valley, which was the dramatic setting, in 1954, for colonial France’s last stand against the ultimately victorious Viet Minh, who hauled the machinery of war by foot and on bicycles across the rugged landscape which we now glide across on our motorbikes today. DESCRIPTION: A crisp new road through miles and miles of pine forests and jungle, Provincial Road DT722 glides over undulating highlands just north of Dalat. The road is in fabulous condition for its 50km length and sees hardly any traffic at all. The reason for this, however, is that it’s not finished yet: at the Krong No River the tarmac comes to an abrupt end. Eventually, the road will continue over the river to Yang Mao and connect with the Truong Son Dong Road, but for now this is the end of the line. It’s well worth the one-way ride, though, as the scenery is good, the road surface is smooth, and the riding is excellent as the seam of asphalt weaves through the pine-scented forests in the cool mountain air. (This great riding road is described in detail in my Pine Tree Road guide). 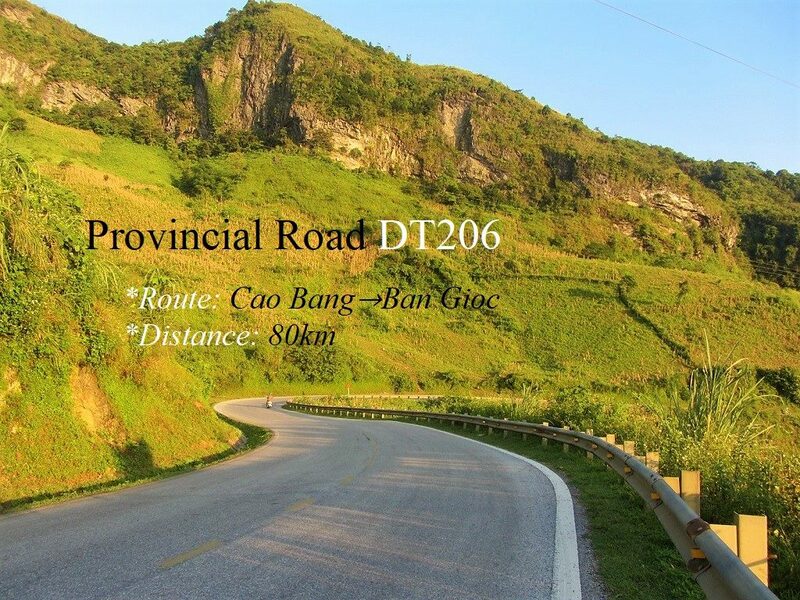 DESCRIPTION: Swerving between limestone pillars into Vietnam’s remote northeastern corner, Provincial Road DT206 picks up where National Highway QL3 left off: through a splendid pastoral landscape along the Chinese border, culminating in the sublime falls at Ban Gioc. After years of upgrades, the road is now in great condition, allowing bikers to eat up the corners (including the famous Ma Phuc Pass) whilst admiring the scenery, which is among the prettiest in Vietnam. From a rider’s perspective, there is one drawback: booming trade with China has led to an increase in container trucks plying this route to and from remote border crossings in the northeast. However, the general volume of traffic is still very light, and even the presence of articulated lorries can’t detract from the joy of riding this excellent road through such superlative scenery. (This great riding road is part of my Northeast Loop guide). DESCRIPTION: This section of the Ho Chi Minh Road is a meandering river of asphalt blazing through soaring limestone pinnacles and across jade-blue rivers straddling the Lao border. A good, wide, smooth, two-lane road, QL15 between Khet Gat and Tan Ap is an impressive engineering feat. During the ‘Vietnam War’, the Ho Chi Minh Trail passed west of here, crawling through the dense Lao jungle to supply the southern territories with soldiers and military equipment. In those days, it took months to reach the south; today, riders can sweep through this difficult terrain with ease thanks to this amazing road. The scenery is fantastic and the riding is pure pleasure. Traffic is light, but trucks are increasingly choosing this road over the clogged artery of Highway 1, so expect at least some heavy goods vehicles, especially struggling up the steep and spectacular Da Deo Pass. 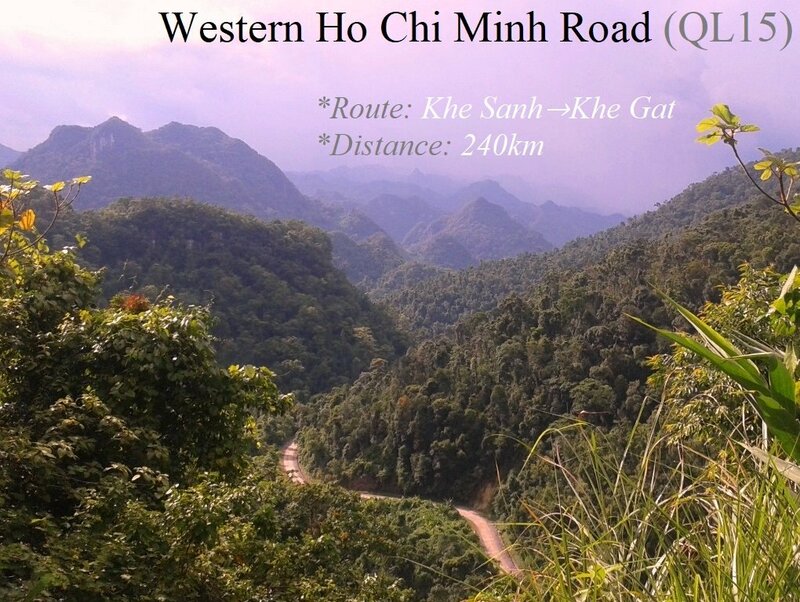 (This great riding road is part of my Ho Chi Minh Road guide). DESCRIPTION: One of the most famous roads in Vietnam, the Hai Van Pass curls around a mountainous spur of the Annamite Range as it meets the sea, between Danang and Hue, in central Vietnam. Famous down the centuries as s barrier between kingdoms and peoples, the Hai Van Pass reached a global audience in 2008, when the Top Gear Vietnam Special was aired on the BBC. The presenters’ awed response to the majesty of this scenic route and the joy of riding the deserted hairpin bends, encouraged a generation of travellers to follow in their tyre tracks. Despite being only a short stretch of road, the views over the ocean and mountains are excellent and, because a tunnel takes the lion’s share of heavy traffic, the Hai Van Pass is relatively quiet. The great, looping switchbacks, for which the pass is famous, are wide and smooth, allowing riders to lean in and enjoy the corners. 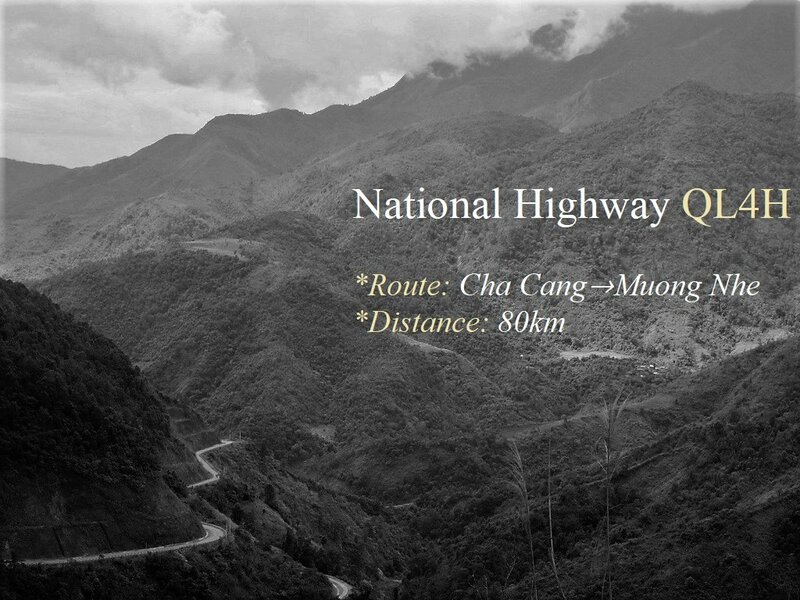 (This great riding road is described in detail in my Hai Van Pass guide). 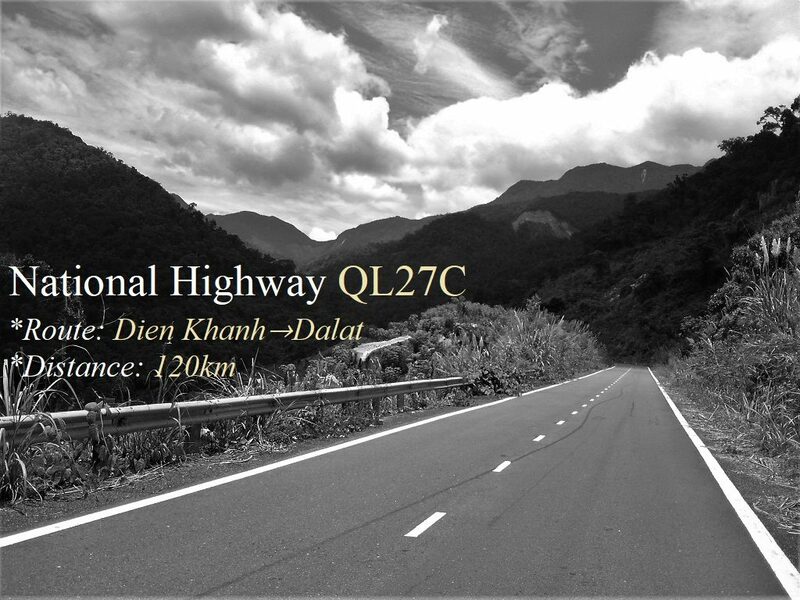 DESCRIPTION: Forging a path from sea level to 1,700m at its highest point, National Highway QL27C is a relatively new route, linking the hot and sunny beach town of Nha Trang with the cool and misty mountain retreat of Dalat. I’m told that some kind of roadway existed along this route during French colonial times, but it was only recently that the road was upgraded to a National Highway. Now days, QL27C is the preferred route from coast to mountains. 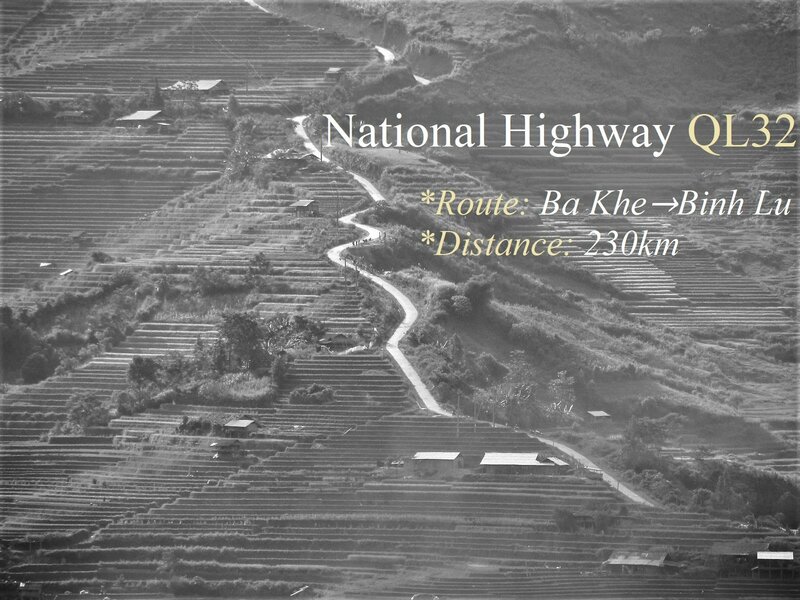 The road is wide and smooth for the majority of its length, including the 37km Khánh Lê Pass, a thrilling ascent from peaceful, agricultural valleys to cold, misty mountains cloaked in jungle. After reaching the Central Highlands, the road sweeps over a pine-studded plateau covered in coffee plantations. Although a popular route, traffic is still light enough (particularly on weekdays) to enjoy the ride unimpeded by cars and trucks. 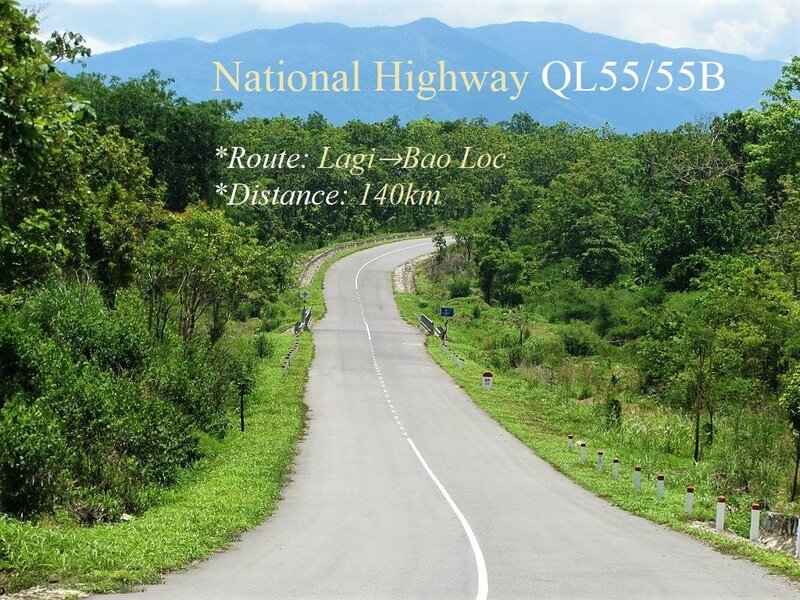 (This great riding road is part of my Classic Route between Saigon and Hanoi). DESCRIPTION: Known as the Road of Happiness, the Ma Pi Leng Pass is located in Vietnam’s northernmost province, abutting China, and is a serious contender for the most spectacular road in the country. The short but utterly jaw-dropping stretch between the market towns of Dong Van and Meo Vac, hugs the edges of a steep, treeless valley, hundreds of feet above the Nho Que River. Limestone pinnacles tower over the valley, casting long shadows across the haunting – almost martian – landscape. The road is knotted: curling in on itself and then unwinding, like a tangled thread of string draped across the landscape. But, while there’s no doubting the scenic qualities of this road, it is quite narrow and potentially very dangerous. Fortunately, there’s still not much traffic at all, but as the region (Ha Giang Province) begins to attract more and more travellers, the number of motorbikes and vehicles is increasing. This is not a road for speed, but the soaring switchbacks and mythical scenery make it feel like flying, even when you’re only riding at 30km an hour. No list of great roads in Vietnam would be complete without it. (This great riding road is part of my Extreme North Loop guide). DESCRIPTION: Completed a few years ago, this road begins behind the famous beach resort of Mui Ne. A fresh, wide and empty bypass (Vo Nguyen Giap Street) glides over the arid but attractive Mui Ne hills, looking down over the curving, blue bay below. The bypass meets the ocean (Road DT716) and skirts along miles of deserted coast, backed by red sand dunes. Traffic is light and the riding is excellent. However, unfortunately this road runs straight through an infamous ‘police trap’, where foreign riders are invariably pulled over. But, there’s an easy and effective workaround for this by taking a back-road behind the coast (see my Sand Dune Highway guide for more details). 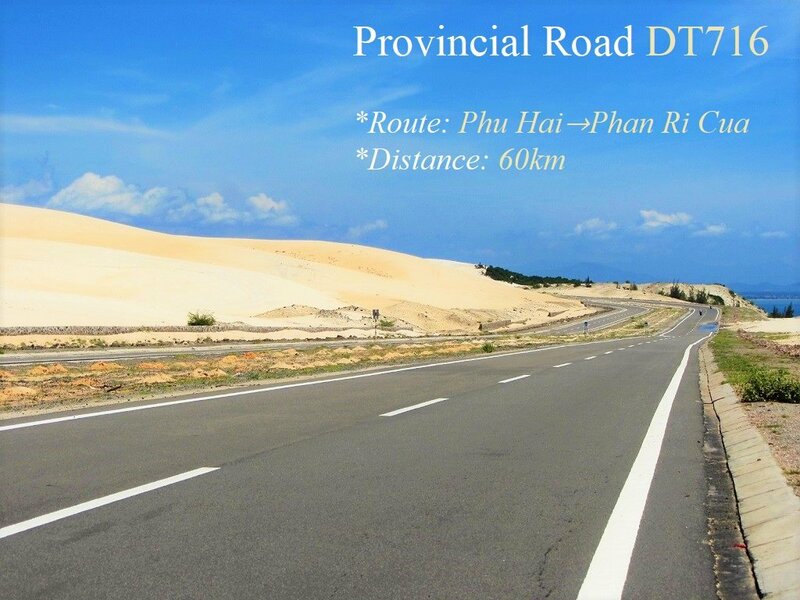 Bearing east, the road joins DT716B, a super-smooth, straight but undulating seam of asphalt that was recently laid over the great White Sand Dunes, known as Vietnam’s Desert. This is a road to eat up all the way to the fishing town of Phan Ri Cua. (This great riding road is part of my Sand Dune Highway guide). DESCRIPTION: Climbing steeply from Lai Chau city to the mountaintop village of Sin Ho, Provincial Road DT128 swirls around the jungle-clad mountainsides as if following the contour lines on a map. Going from a warm, agricultural valley into a mist-shrouded alpine landscape, where the temperature can drop to freezing, this route offers extraordinary views over oceans of mountains, stretching all the way to the Chinese border. The majority of the road has recently been resurfaced and widened so that it’s now in excellent condition with practically no traffic at all. There are countless corners and switchbacks snaking through the mountains. However, there are still roadworks for the last 15km up to Sin Ho, and this section can be quite difficult, especially in bad weather. But, before long, the road will be completed and the whole 55km stretch will be a sublime ride. 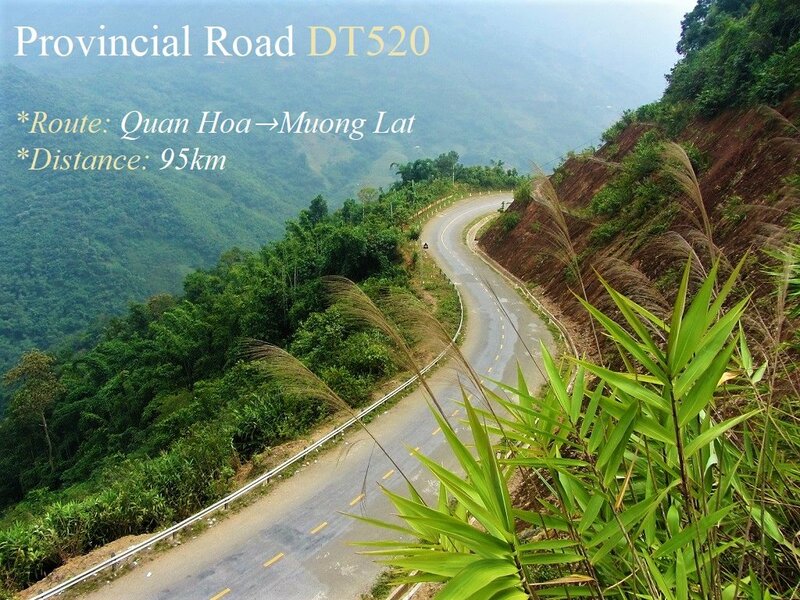 (This great riding road is part of my Sapa-Sin Ho Scenic Loop). DESCRIPTION: Way out in the East Sea, 80km off the coast of the Mekong Delta, Con Son is a remote and beautiful island in the Con Dao Archipelago. Winding around its windswept and utterly beguiling eastern seaboard is Con Son Coast Road. 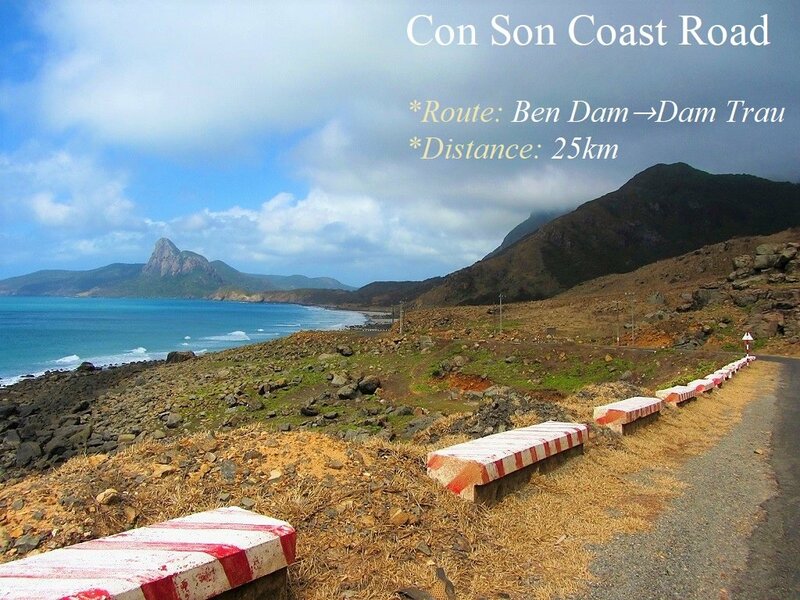 Leading from the spectacularly situated port of Ben Dam in the south of the island, to the tiny airport and gorgeous beach of Dam Trau in the north, this coastal road is only 25km but is almost entirely deserted and exceptionally scenic. Although the first half (from Ben Dam to Con Son town) is currently being upgraded, the second half all the way to the airport has recently be relaid and is in great condition. The riding is glorious, but you may find it difficult to keep going, because the coastal vistas are so stunning that you’ll want to stop and take it all in. Also, be careful of strong winds as you round the exposed capes at either end of the island. (This great riding road is part of my Con Dao Islands guide). DESCRIPTION: Yet another extraordinary section of the long and fabulous Ho Chi Minh Road, this part romps through the remote and, at one time, war-scarred spine of Central Vietnam. Although there are poignant echoes of ‘The American War’ throughout this section – Hamburger Hill, A Shau Valley, Khe Sanh – it is the scale and beauty of nature which makes the biggest impact on riders who pass through here today. From Thanh My, the Ho Chi Minh Road corkscrews up multiple passes via a series of dizzying switchbacks, first to the little village of Prao and next to A Luoi. Misty mountains covered in a fleece of thick tropical jungle, where wild animals such as the Saola (Asian Unicorn) live, stretch to the horizon and continue into Laos. It’s not uncommon to have the road completely to yourself: not one vehicle for over 100km. 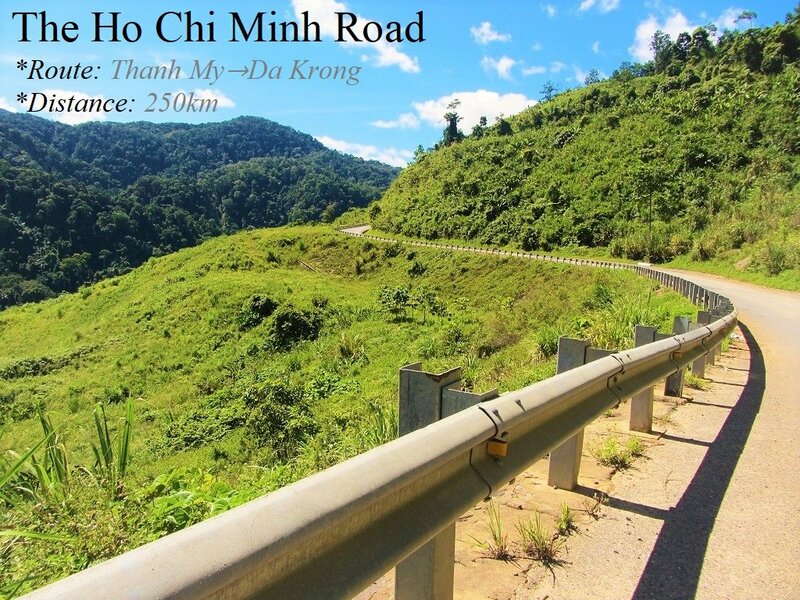 Next, the Ho Chi Minh Road breezes along several river valleys, where the road is smooth and wide, and the riding is excellent. 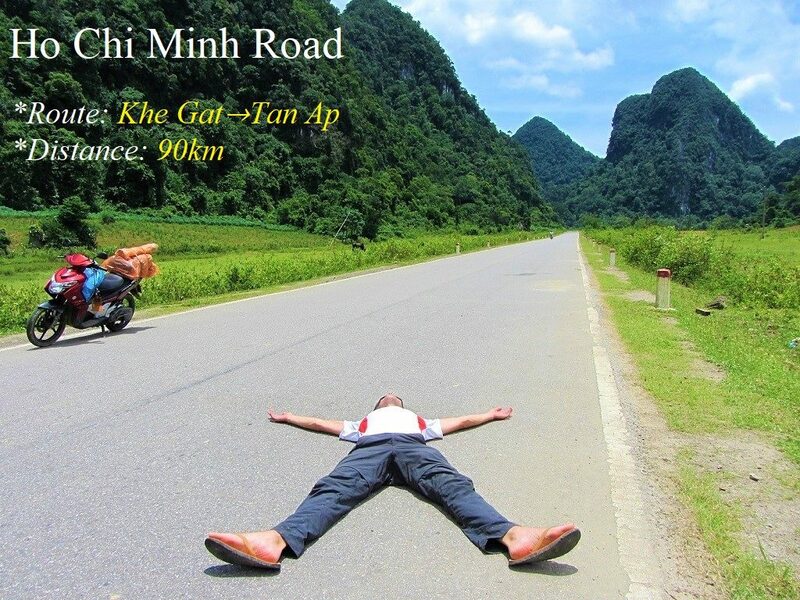 (This great riding road is part of my Ho Chi Minh Road guide). DESCRIPTION: The Mekong Delta is very flat, so the roads are mostly arrow-straight: more like extended drag-racing tracks than great riding roads. 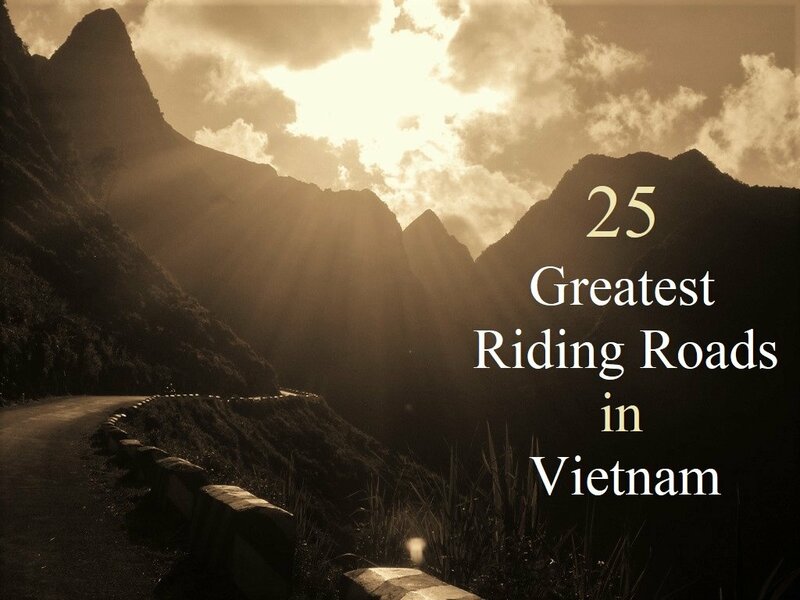 But it seems rude not to include a Mekong Delta road in this list, and of all the roads I’ve ridden in the Delta, Highway QL91C between the Dai Ngai ferry crossing and the remote Mekong beach resort of Mo O is the most enjoyable to ride. 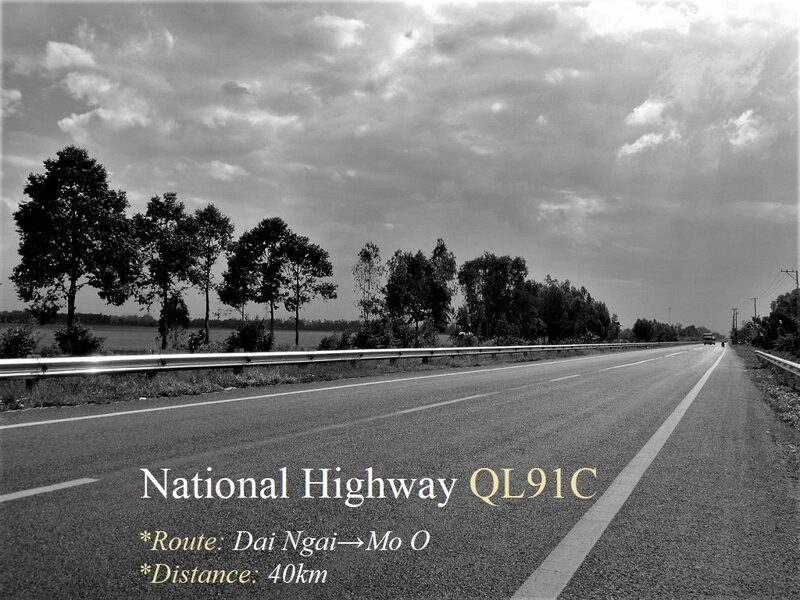 Bending around the southern banks of the Hau River (the southernmost arm of the great Mekong River Delta) as it pours into the East Sea, Highway QL91C was recently upgraded. Road conditions are good and traffic is light: this part of the Delta, Soc Trang Province, isn’t really on the tourist trail. Yet, the agricultural landscape is fascinating and, in the soft low light of the mornings and late afternoons, very beautiful. Tropical fruits grow in riverside orchards, vegetable gardens line the canals, and busy little fishing villages dot the coast. The riding is easy and smooth, so you can sit back and cruise through the Delta, watching the pastoral scenes slide by. 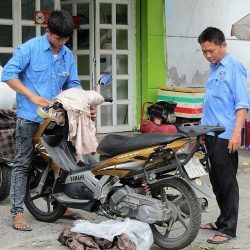 This entry was posted in ALL, MOTORBIKE GUIDES, Resources, South to North and tagged best, guide, motorbike, road trip, roads, routes, scenic, Vietnam. Bookmark the permalink. 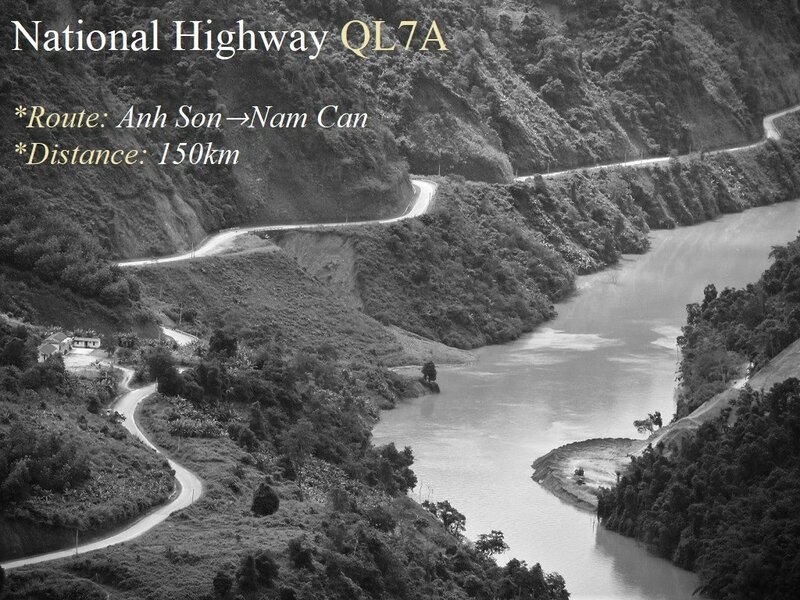 Hey I noticed the first road you listed, the QL3 between Cao Bang and Na Phac, is actually not in your Northeast Loop. Is there a reason for leaving it out of the recommended loop? Thanks! No, there’s no particular reason for that – you can easily include QL3 in the Northeast Loop instead of QL34 (either road is very scenic). Please note that my Northeast Loop guide is due an update. Hi, I’ll be cycletouring and am wondering which you think would be a good combination of cycling and beauty? Thanks I’m traveling now. Finished the Mekong and parked inDaLat to rest yp..
Well, all these roads are good for scenery and riding – that’s what makes them Great Riding Roads 🙂 But, of course, on a bicycle many of them are very challenging because of the steep ascents. The Western Ho Chi Minh Road is particularly scenic and although it’s very undulating, it’s still good for cycling because there’s so little traffic. At that time of year, it’s best to stay in most places south of Danang, because the weather north of there can be quite bad. You can read more about weather in Vietnam here. 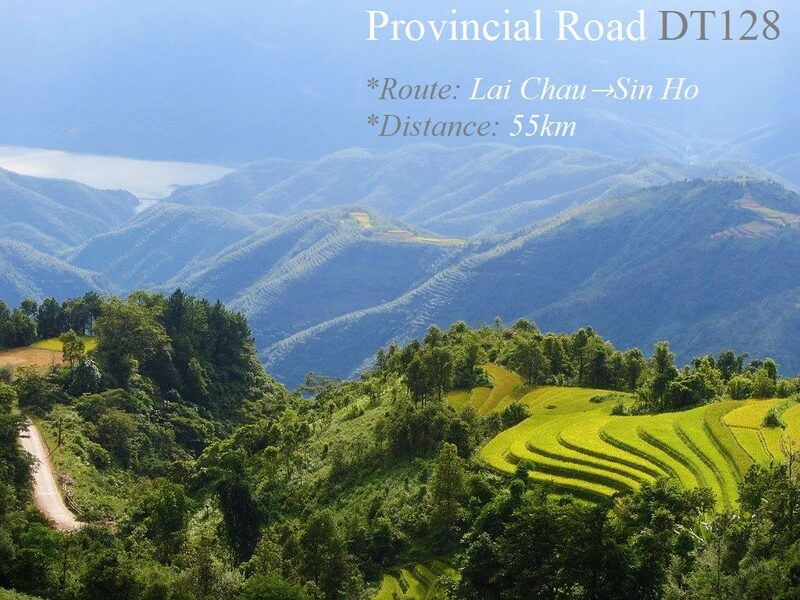 With two weeks I would suggests any (or a mixture) of the following routes: the Coast Road, the Road East of the Long Mountains, the Ho Chi Minh Road. Also, just browse my archive for Southern Routes for many more options. For bike rental, try contacting the reputable rental companies that I list here, some of them can arrange tours as well if you want, but in my opinion it’s much more fun to do it independently. I had the absolute pleasure of riding the routes out of Saigon around the South Central Highlands & coastline. As a 1st time rider/visitor, I found your road recommendations & observations of areas superb, poetic. Beautifully diverse scenes, people. Your guides – Midnight Loop, Bike on Train, Food & Accommodation options (to name a few!) – all utilised. Initially it was your Ferry to Vung Tau write-up that hooked me. Every tourist biker met along the way knew of your site. Very grateful this end. Long live the Coracle. Thanks Tom. Thanks so much. It’s really great to hear that you enjoyed your trip and that my guides helped along the way. Glad to hear also that other travellers you met knew it and used it – I don’t advertise so it’s down to word of mouth from people like you, which I’m very grateful for. Thanks. It’s good to hear you’re enjoying riding around Vietnam. I hope you get a chance to ride in Ha Giang soon – it’s a spectacular area. If you like, you can let me and the other readers know which other roads in the north you particularly like. Yes, those are all very scenic roads, but yes the reason I didn’t include the Y Ty road and DT153 and QL34 is because of unreliable road conditions. But I’m sure they’ll slowly be upgraded over time and then will certainly be worth adding to this list. I agree, QL279 in that area is a great road. And DT238 is a good choice too. It’s great to hear you’ve enjoyed riding these roads too and fallen for Vietnam in the process. I hope you get more chances for road trips here in the future. And thanks for spreading the word about my site – I really appreciate it, and that’s how the whole thing works. Hi there…..can anyone tell me if there is a GPS OR SOME KIND OF APP for the Ha Giang motorbike loop? 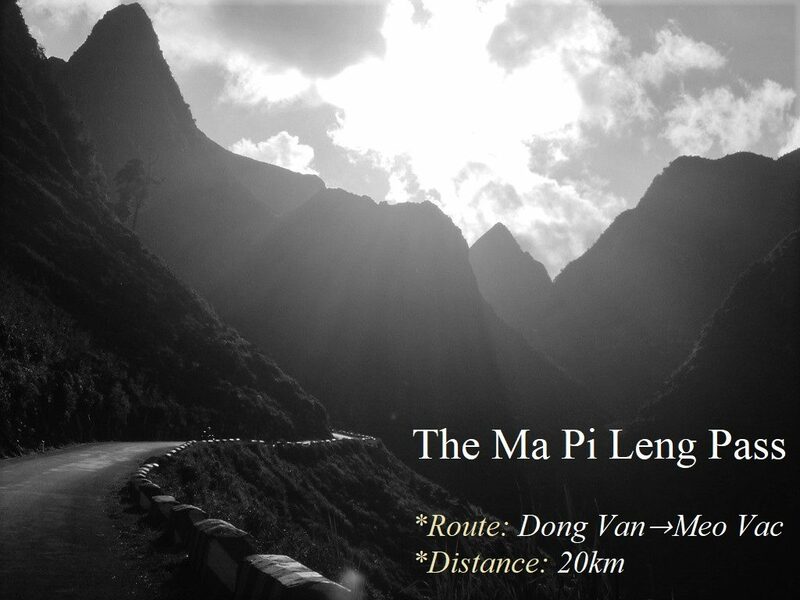 Not as far as I know, but you can take a look at my Ha Giang Loop guide and export the map to KML then upload it to the maps.me app and follow the route using your GPS location on your phone.